Action regulation is the adjusting the approximately 8,000 parts that make up the piano's action mechanism so that the piano plays properly. The action of a piano consists of the keys, hammers, and other levers and springs that move the hammers to the strings when the keys are played. > Repeated notes are difficult to play, for example in trills and other ornaments. > The touch feels uneven. The cost of regulating the action varies, and will require a consultation for an estimate. "Weighing off" the grand action. All upright and grand pianos need periodic regulation to perform their best. Frequency of regulation is dependent upon amount of use, exposure to climatic changes, and the instrument’s quality, age and condition. New pianos may require regulation in their first year because settling and compacting of parts sometimes necessitates adjustment. 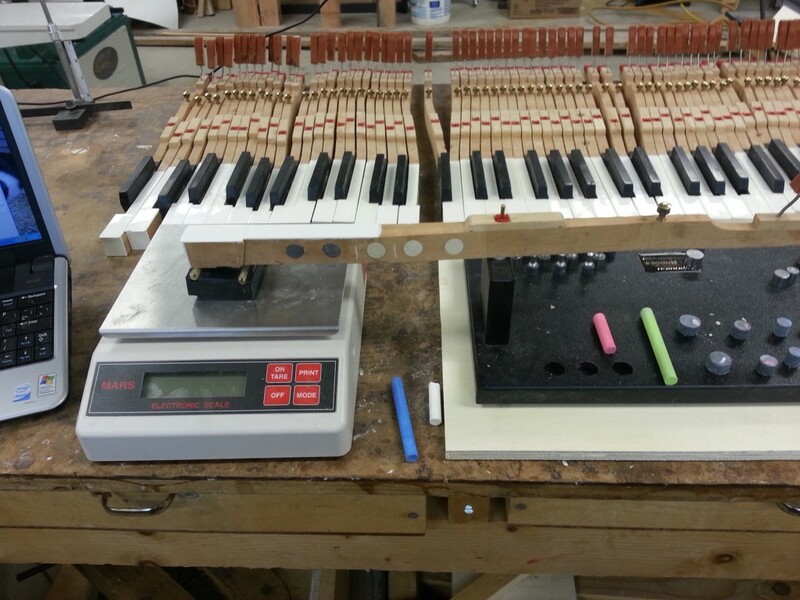 While tuning corrects the pitch of your piano, it is only one component of a complete maintenance program. Regulation attends to the touch and uniform responsiveness of your action, all vital to making each performance pleasurable. In addition, regulation ensures that your instrument is capable of producing a wide dynamic range — a critical factor, particularly in pianissimo passages. Music is one of the most complex vehicles for expression. Its beauty is reliant upon personal dynamics and tempi. These changes require extremely fine adjustments to respond to the pianist’s nuances and subtle shadings. A smooth, even response throughout the entire range of the keyboard and an extremely quick action capable of playing rapid passages and repeated notes evenly is essential. Outstanding response is essential for a pianist to create an outstanding performance. If you instrument displays a lack of sensitivity or a decreased dynamic ranges, it’s a candidate for regulation. If you notice that the keys are not level (some higher or lower than the rest), the touch is uneven or that the keys are sticking, the need for regulation is indicated. However, a sluggish action or deep grooves in the hammers indicate the need for reconditioning or repair. Ask your technicians to show you what needs adjustment on your piano. In the short term, leather and felt compact, affecting the adjustment (regulation) of the parts. The action becomes uneven and less responsive, and the piano’s tone loses dynamic range. Squeaks and rattles may develop. Routine maintenance such as hammer filing, regulation, voicing, and tuning will correct these problems and maintain the piano in near-new condition. 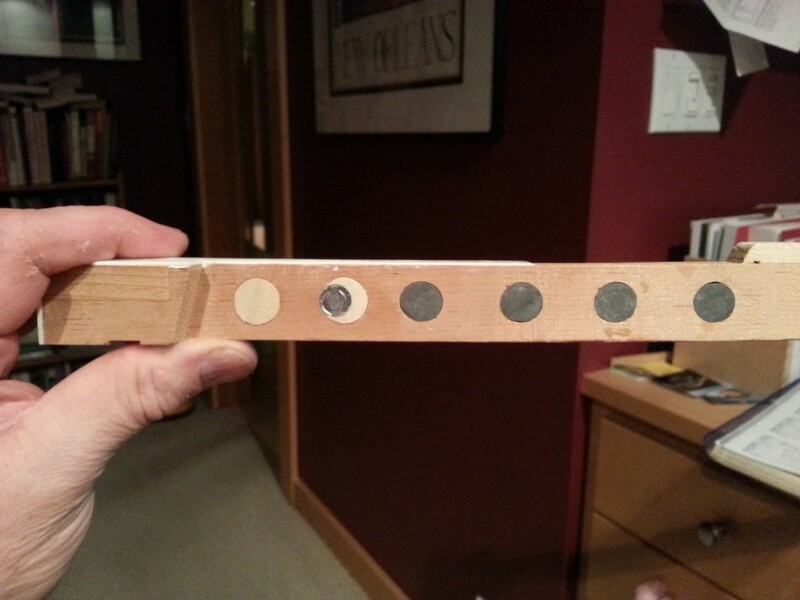 After decades of exposure to seasonal changes, the wood of the soundboard, bridges, and pinblock is weakened. This causes loose tuning pins, poor tuning stability, and further loss of tone. By this time the piano’s finish will often be scratched or faded. The three systems involved in regulation are the action trapwork and damper system. The action is the mechanical part of the piano that transfers the motion of the fingers on the keys to the hammers that strike the strings. It is comprised of over 9,000 parts which require adjustment to critical tolerances to be able to respond to a pianist’s every command. The trapwork is the assemblage of levers, dowels and springs that connects the pedals to the action affecting sustain and dynamics. The damper system is the mechanical part of the piano that stops the vibration of the string when you release the key and is controlled by the key and pedal systems.